WordPress is an amazing Content Management System that makes it really easy to own a website for very little investment. For just a few bucks, you can own your Domain Name and get Web Hosting. 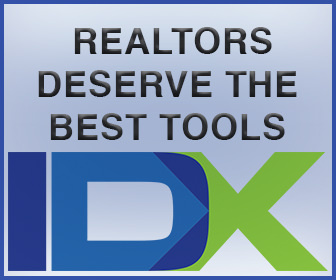 This gives you the ability to actually own a piece of Online Real Estate. Having your very own website is a great way to get your ideas out there for the world to read and can help you become an authority within your field. On the Official WordPress Website, there are thousands of free WordPress Themes for you to use. Then there’s the Premium WordPress Theme Marketplaces and Websites where you can get a high-quality WordPress Theme for less than $60. 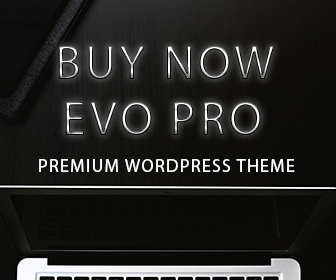 Here at PixemWeb, I have my own custom theme that I sell which is called, Evo Pro which is a well-maintained theme and full of features that enhance your WordPress Website. Have You Ever Considered Coding your Own WordPress Theme? But have you ever wondered if you could code your own WordPress Theme? Most people who own a WordPress powered website have asked themselves this very question. The answer is a resounding yes. In the video at the top of this post, I walk you through how to use the Underscores Starter Theme along with the Bootstrap 4 Frontend framework which when combined, I create a theme that I call DevWP but you can call it whatever you want. I show you my workflow and how to make Bootstrap 4 work well with WordPress. In the video, I walk you through the folder structure of our WordPress theme and I show you call the code which makes it very easy for you to code along with me. The assets that I use are all free and ready for you to utilize in your custom WordPress Theme which you can use for your website or for a clients website. With the free tools mentioned above along with the video, you will be well on your way to coding a WordPress theme. The video is part of a larger playlist that’s dedicated to helping the beginner to intermediate coders learn the WordPress Way when it comes to themes and plugins. There are already a few videos in the playlist and on my channel there are various videos that are dedicated to different aspects of owning and managing a WordPress powered website. Underscores is a starter theme created by the team at Automattic. They provide for free so WordPress Developers and Designers can use it to create the next Amazing WordPress Theme. Since it’s a starter theme, there is no styling to it. It gives you a foundation of code, files, and folders so you can create your own theme and also learn from. Bootstrap 4 is the most popular front-end framework used to create visually appealing websites. It wasn’t made specifically for WordPress but with the video above, I show you how to properly integrate it with WordPress code to make it work smoothly. 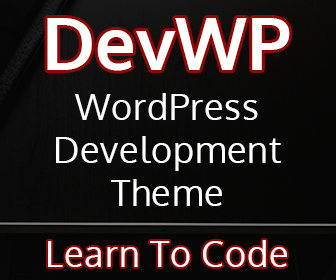 DevWP is my developer training theme that I am creating and using to demonstrate the process of coding a custom WordPress Theme. Can you use the code in the video and the files from DevWP Developer Training Theme to create your own theme or for use on a clients website? Of course. You can do as you wish with the theme. If you find the videos helpful, make sure to subscribe to the channel and if you want the code to easily follow along, just click any of the links in this post titled DevWP. Do I Need To Buy DevWP to follow along? Nope, I show you all the code in the videos so you can easily follow along and code along with me. I actually recommend coding versus just copying and pasting since actually typing out the code will help you learn. I do sell DevWP for a very small fee aka investment so you can easily follow along and have the code to compare yours against. It’s helpful but not required. Do I need to buy a domain name & hosting to practice? Nope, in the video, I use MAMP which is a free local web server that you can use to practice coding your own website locally on your computer or laptop. This is the safest way to practice coding and MAMP works on both windows and macs. If you do need web hosting and a domain name, you can get that from PixemWeb at Get Your Domain Name and Hosting where you will find everything you need for your website. I also provide a very easy to use one-click WordPress installation to make it easier for you to get started. Next: What’s New in WordPress 4.9 Tipton?